This is a very simple card to put together. I started with a Cherry Cobbler card blank measuring 21cm x 15cm, scored on the long side at 10.5cm. I then cut a strip of Crumb Cake cardstock measuring 5cm wide and used the Banner Triple punch to make the banner tails. 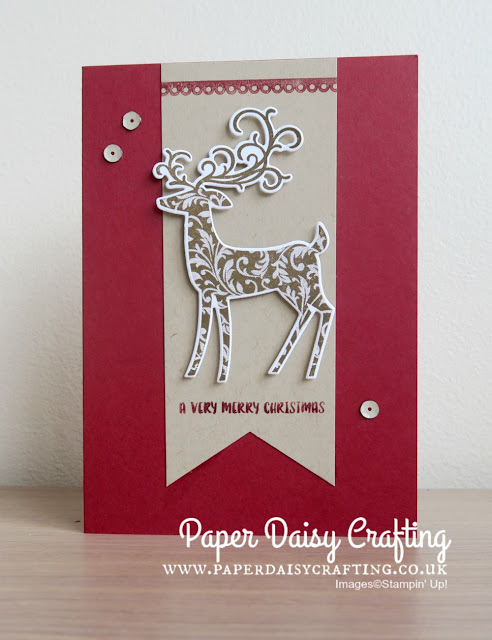 The dotty scalloped border (from the Detailed with Love set) was stamped in Cherry Cobbler at the top of the banner and the Christmas sentiment From the Cookie Cutter set) stamped at the bottom. The reindeer was stamped in Soft Suede - as you can see, it stamps fabulously - and die cut with the coordinating die. 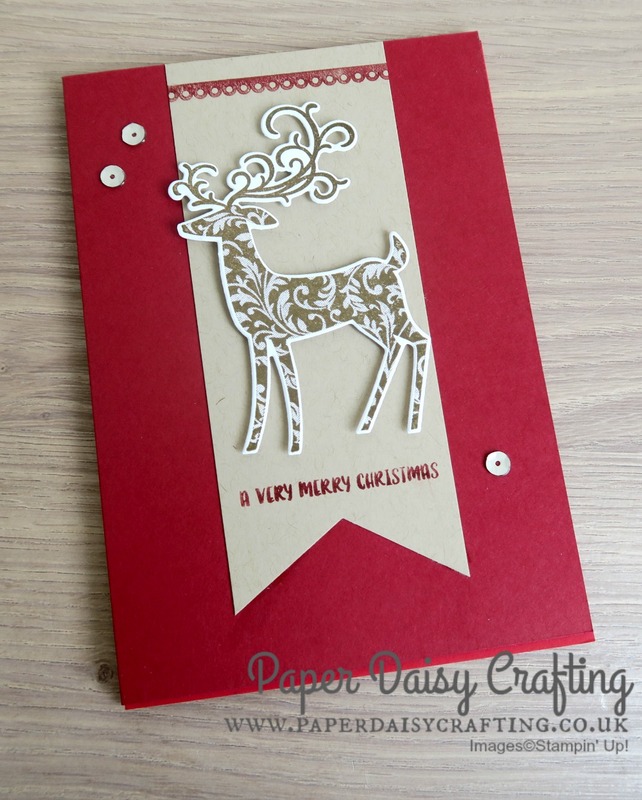 The reindeer was mounted on the banner with dimensionals and the card finished off with a scatter of self adhesive sequins. My stash of Christmas cards is growing quite nicely now - I don't think I've ever been this organised so far in advance of the big day! Hope you like today's project - see you tomorrow for another!